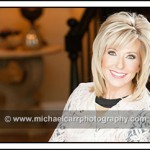 Houston Portrait Photographer, Michael Carr, is a portrait artist specializing in business executive portraiture. As a professional photographer in the Houston Metropolitan area for over 20 years, our work is widely used in oil and gas industry, financial annual reports and commercial real estate marketing press packets. Our studio is located in a commercial office off 610/Woodway. The studio is equipped with commercial grade lighting equipment; professional photography backgrounds, dressing rooms and digital workstations customized for most digital pre-press requirements. Clothing consultations are complimentary and hair and makeup salon services are available upon request. Experience the difference for yourself, we offer a unique product where image is everything. To view more of our portfolio gallery, visit www.MichaelCarr.Photography or call now to schedule your professional business portrait session appointment at 713.461.2862.